Stir in chicken stock, mushrooms and lemon juice. 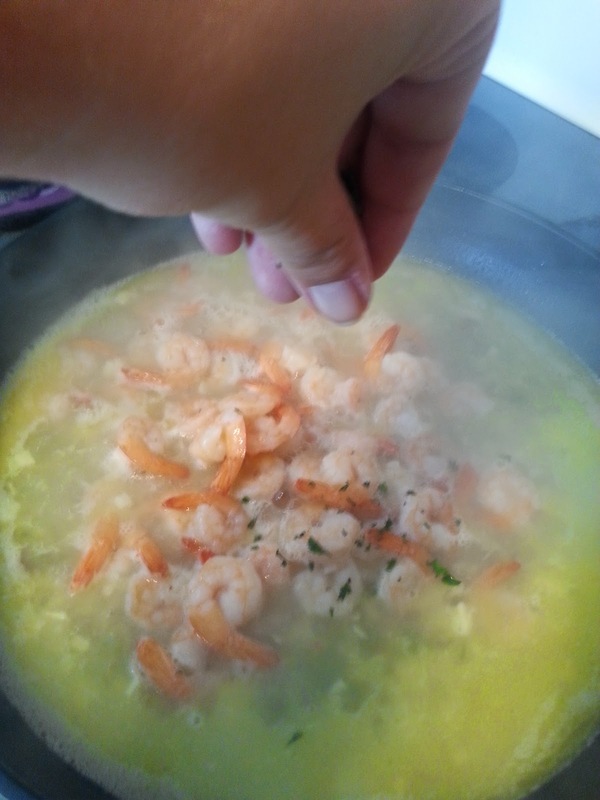 Bring to a boil; reduce heat and simmer until reduced by half, about 1-2 minutes. Stir in remaining 6 tablespoons butter, 1 tablespoon at a time, until melted and smooth. Then add corn starch to thicken into a sauce like consistency. This looks amazing! Personally, I would leave the mushrooms out (not a fan) but other than that the dish looks delicious. I'll have to try! I think my wife is making this tonight.. She mentioned something very similar to this, this morning..
oh yes please. drooling here. Shrimps and garlic and shrooms. What more could a girl as for? What a fantastic and delicious meal. It sounds wonderful and perfect for entertaining. That looks yummy. I love simple meals that are full of flavor. Wow, that looks amazing! It looks simple and light for a delightful summertime meal! 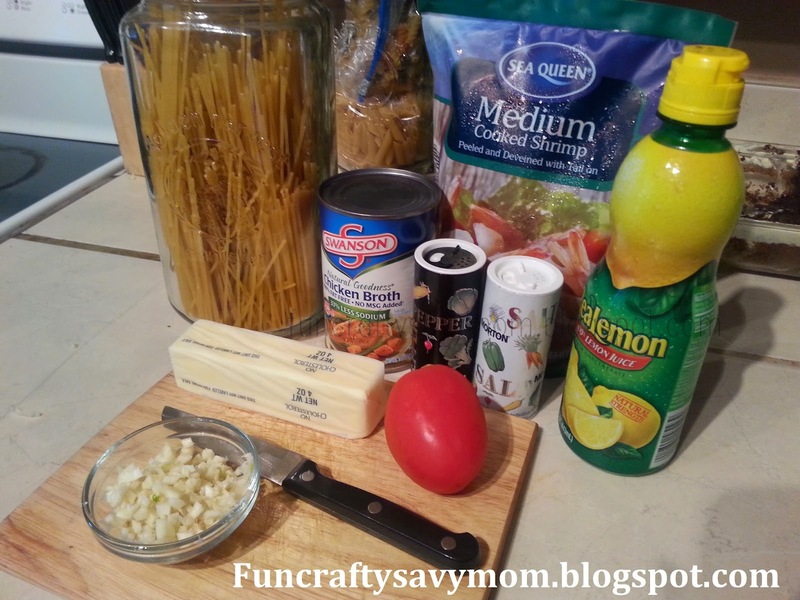 I need some quick dinner ideas for the summer we seem busier than school year. Butter garlic and pasta, now that sounds amazing! Looks delicious, thank you for sharing the recipe! I think I will try this for dinner! Thanks for sharing this great recipe. Will have to try this soon. I love having pasta like this (without shrimp). It's my favorite! I am always looking for pasta recipes. Thank you so much for sharing. You can't go wrong with garlic and pasta. I love garlic butter pasta! This sounds great-... well, minus the shrimp but it looks great! That looks really good. I've never had shrimp like that before. 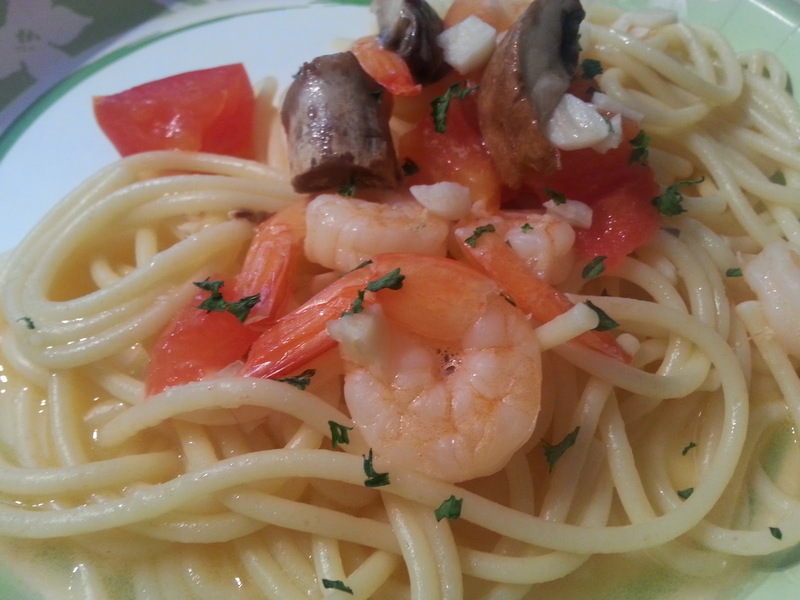 I love shrimp and pasta and I have a recipe similar to this and it is delicious! Yummy! I don't like shrimp but my family does. I will have to make this for them. Thanks for sharing. Yummy! Anything with shrimp and I am a fan. This looks really tasty. Looks good! I love any pasta recipe that calls for lemon! This looks amazingly delicious and perfect for summer!